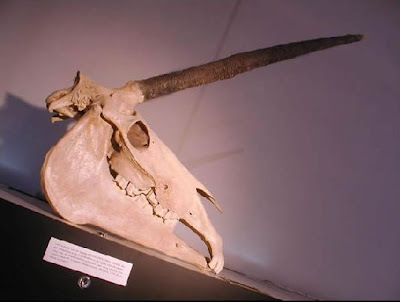 Possible Unicorn skull found in Found in Belgium? Could it be real? I know this is an older story but I had not seen it until today and if I haven't seen it then I'm guessing others have not either. Notice it says HORN and not HORNS - So what was this one horned animal? Unicorns are a one horn animal commonly looking like a horse, but could some other one horned animal, like a Rhino, have been misidentified? Maybe. My guess is that the skull in the photo is a faked art type thing, but it's fun to speculate and good for a Monday evening. It's a nice piece either way and it would be nice to hang a hat or coat on, not to mention the looks on your friends faces when they come over. Correct - Unless it's a unicorn. Psalm 92:10 (NIV) reads "You have exalted my horn like that of a wild ox; fine oils have been poured upon me." Which Bible translation reads as you stated above? King James version. NIV is full of errors and they took out the name of Jesus like 1000 times or something. The NIV is the version our Pastor uses. I've read both versions but it's been a while since I've read the King James Version. If people gave the name of our Lord & Savior the power they gave other "words", just think of how much better this world would be. Thank you for your hard work & dedication in this field. I find this website to be one of my favorites. 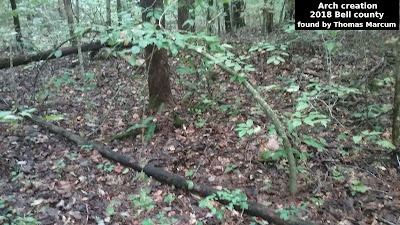 Your friend in the field of Sasquatch & Cryptid research, W.M. Thanks for the kind words W.M - Jesus is first for me as well. If you would like to see some of the differences in the KJV and NIV ...you can google it. It is amazing at some of the changes. The main thing is to pray and sever the Lord the best we know how. Have a great Day. I went to google like you suggested. All I can say is WOW. I was shocked. I wonder if our Pastor knows just how much important information has been "deleted" I know he says the NIV is an "easier read" but I don't know about that now that you've brought this to my attention. Thank you so very much. May God bless you & may Heaven smile upon you!!! Your friend W.M. Yeah some important things are changed and some meanings are lost. It's is easier to read but some things we need are missing. God Bless you my Friend.